Hospice palliative care helps people with life-threatening and terminal illnesses live as comfortably and as fully as possible in a home-like setting. The focus is on caring, not curing; and on life not death. 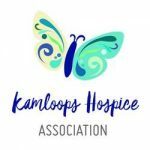 Hospice care also extends to friends and family members, helping them care for their loved one and to care for themselves during times of grief. We currently offer programs out in the community as well as inside our Hospice Home. Please click on the headings for further program information.